This post was written my sister, Christina, as a guest post. She’s pretty incredible. A few weekends ago my amazing friend Just Jen threw herself a big old birthday party. 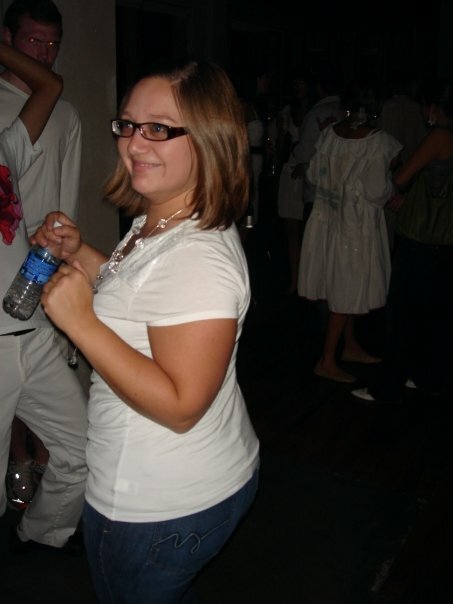 The theme was “white party” modeled after the huge parties P Diddy throws every year. See picture. So, she borrowed a sweet loft with a view of the capitol (amazzzzzing,) sent out beautiful invites, and hired a DJ to provide the music for her bash. In the weeks leading up to the event, I was so excited to help her ring in her 29th in style. In the DAYS leading up to it, though. I started remembering. That I’m not particularly cool. Anyway, a handful of my other good friends would be at the party, so I knew I’d at least have a few other people to chill with. hit the internet. Sigh. What can I say? I love to make people laugh. I love to be around people. And things that embarrass other people- I think are awesome. 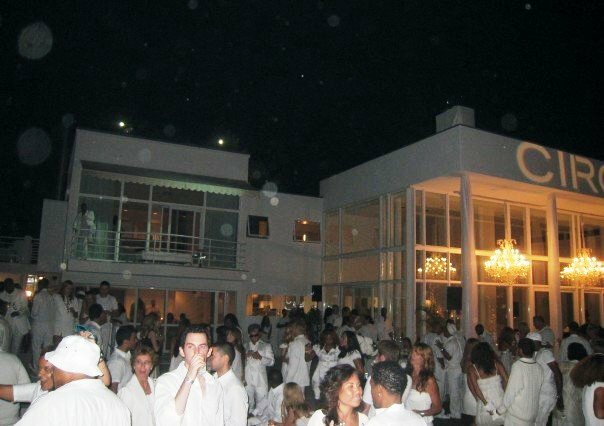 So that’s the story of the white party! 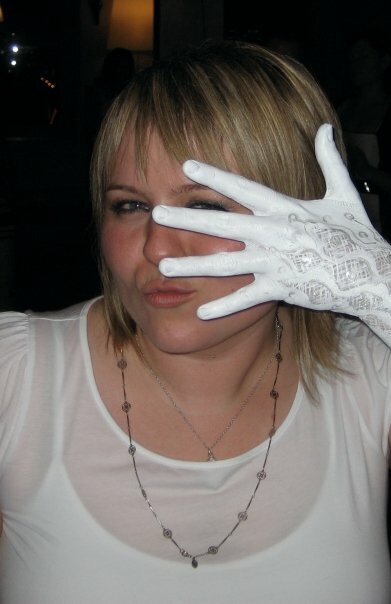 Here’s a pic of Birthday girl Jen- with her painted lace glove! She had a body painter there who painted pearl necklaces, gloves, white tattoos, etc. So cool! Previous Post Previous post: Bakers Dozen- 13 kids and loving it!